It’s the big day! You’ve been anxiously waiting and finally the day arrives; you are going to be going to court. Oh no, I’ve never been to court you think aloud. No problem because The Blick Law Firm is here to help you out and tell you how you should prepare yourself for your big day in court. First and foremost, dress to impress. Yes, this is court, and yes, people expect you to look decent, unless you are pleading insanity. First impressions are important and a bad one could mean you struggling through an uphill battle with a negative preconceived notion of you and your character, all because you decided to wear flip flops. Second, be punctual! As always, this one is big and not being on time could mean you are misrepresented in court or not even represented at all! Don’t take a chance on missing your court date; there could be some big repercussions for doing so. As always, if it is an emergency, you must notify the court and you must have a good reason. Sorry folks, but my dog ate my homework and is throwing up will probably not be acceptable. Lastly, address the judge and jury, if there is one, politely. These are the people that will be deciding your fate, it is important that you start off on a good note. You wouldn’t bash an employer right before they hire you, would you? The concept is similar. Of course, what you hear do and say will depend on the nature of your case. 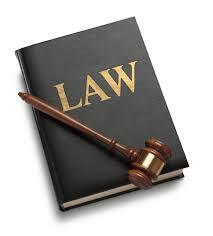 In order to be fully prepared for court, you should have a lawyer assist you. A lawyer can be your coach. They can role-play with you and tell you what you should say and what you shouldn’t say. They can prepare you for that moment you step into court until the instant you walk out with favorable results. This entry was posted in Blog, Criminal Law, DUI, Foreclosure Defense, Immigration. Bookmark the permalink.